Leeanda Reddy is a South African film, television and stage actress. 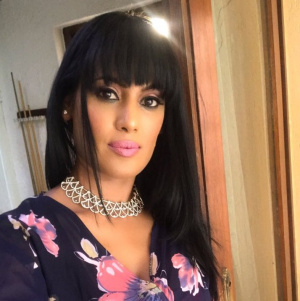 She starred on the SABC 3 flagship soap opera, Isidingo as Priyanka Naicker and starred in the South African comedy film, Mr. Bones 2 alongside Leon Schuster. Leeanda Reddy was part of e.tv's Scandal! original cast, she portrayed a character of a political reporter Vanashree Devan. This page was last edited on 8 February 2019, at 12:12.